Carpet tiles are renowned for their aesthetic styling and outstanding performance in the most demanding heavy traffic environments. 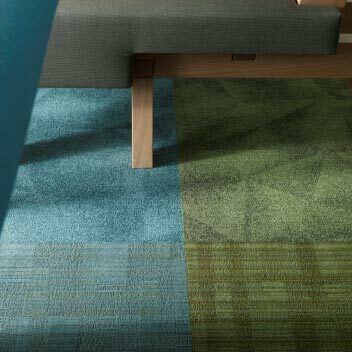 Forbo Flooring offers a wide portfolio of tufted (Tessera), fusion bonded (Westbond) and flocked (Flotex) carpet tiles. 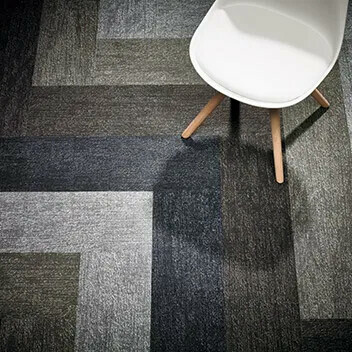 New are the Flotex and Tessera planks of 100x25 cm whith which stunning floor designs can be created. 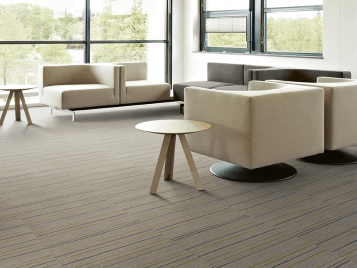 Carpet tiles with a loop pile construction are designed to maintain their good looks in the most demanding heavy traffic areas of buildings, even in corridors and reception areas. 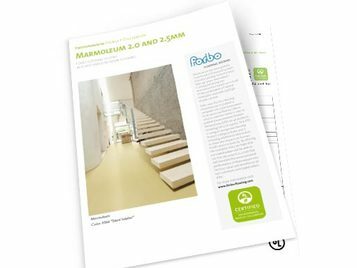 There are various styles of loop pile floors in the Tessera range, covering level loop and designer loop constructions. Find below our extensive offer. A random lay carpet tile tile is cleverly designed so that it may be laid in any direction to produce a totally individual installation. Different production consignments of ‘batchless’ tiles can be used together without the risk of visible batch variation. An additional benefit is that spare stocks do not have to be carried and installation waste is minimized to 2%. Tessera Mix, Forbo's random lay. batchless tile range, has been made possible through the use of advanced CMC tufting technology. 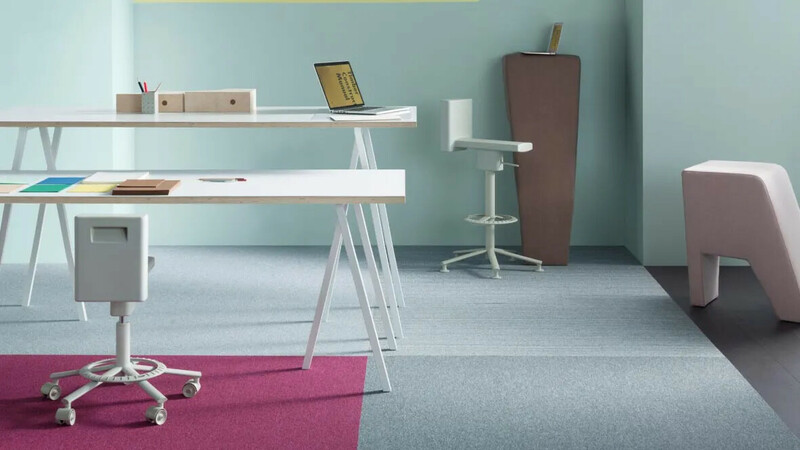 Softer and more luxurious than loop pile, cut pile carpet tiles are ideal for boardrooms and meeting rooms in addition to general office environments. 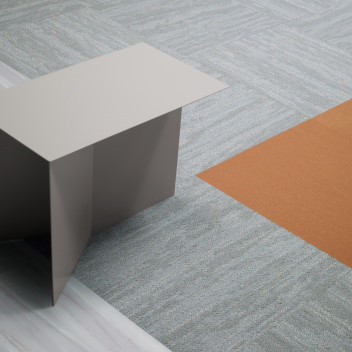 Tessera offers 2 cut pile tile floor coverings - Acrobat & Clarity - to meet different aesthetic requirements. 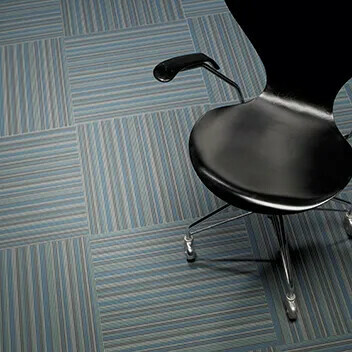 More fusion bonded cut pile floor coverings are featured in our Westbond carpet tiles ranges. Fusion bonding is a sophisticated method of carpet tile manufacture where individual yarn pile is bonded onto the backing material to make an extremely dense and luxurious carpet tile. Each tuft is individual and a high proportion of the yarn is in the wear surface providing a beautiful, rich, velour carpet tile which gives an excellent broadloom appearance. 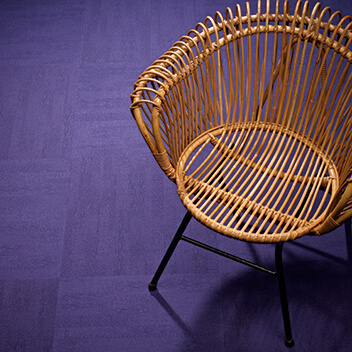 Flotex combines the characteristics of a resilient floor with the warmth and comfort of a textile floor covering. The new Flotex Colour collection contains four semi-plain design ranges - Calgary, Metro, Penang and Canyon - each with a different allover style and subtle print nuance. All items are available in sheet and tile format and some colours in planks either. This new range within our Flotex floorings collection contains many different colours that are easy to combine. 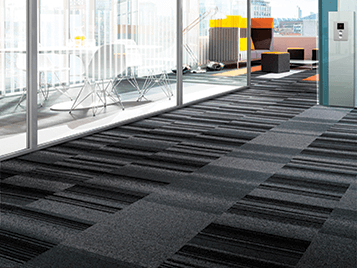 Do you fancy our Tessera 50x50 cm carpet tiles and look for even more design possibilities? Discover Tessera Planks: 100x25cm and 100x20cm planks in Seagrass, uni or linear design, with which you can create even more stunning floor designs. Combine outstanding performance with comfort and style! Our carpet tiles are designed and manufactured with various pile constructions to give specific aesthetic and performance benefits. 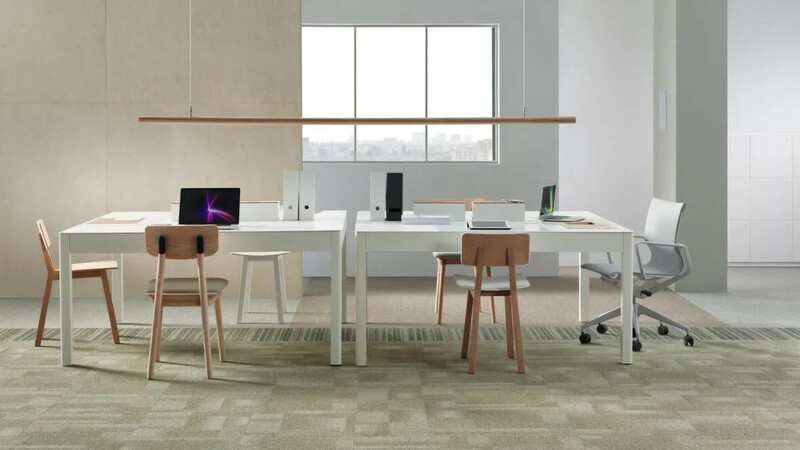 Softer and more luxurious than loop pile, cut pile carpet tiles are ideal for boardrooms and meeting rooms in addition to general office environments. 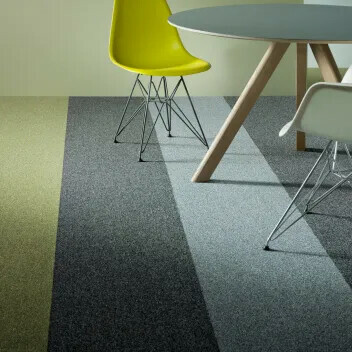 Electrostatic flocking is a unique method of manufacture where ‘charged’ nylon fibres are bonded into an adhesive backing to create a very dense (over 70 million nylon fibres per m²) and durable floor covering. Flotex is a perfect option for very busy locations, such as counter areas, kiosks and call centers as it is able to withstand extreme wear and castor chair traffic Go to our Flotex collection . 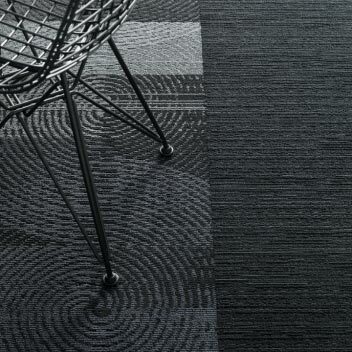 Tessera offers attractive and hardwearing tufted carpet tiles in various pile constructions and textures. 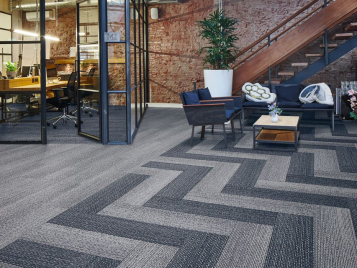 Tessera carpet tiles are renowned for their aesthetic styling and outstanding performance in the most demanding heavy traffic environments. The comprehensive range includes various designs in divers constructions, from loop pile to cut pile and randam.lay. batchless. Perfect to enhance all types of commercial and public sector interiors. 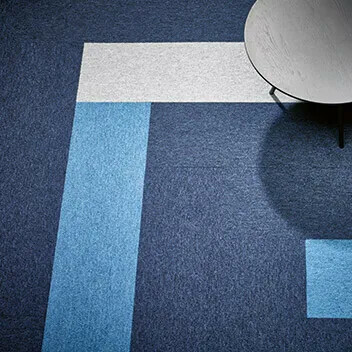 ● As part of Forbo’s Back to the Floor scheme, Tessera carpet tile installation off-cuts can be processed back into new carpet tiles. 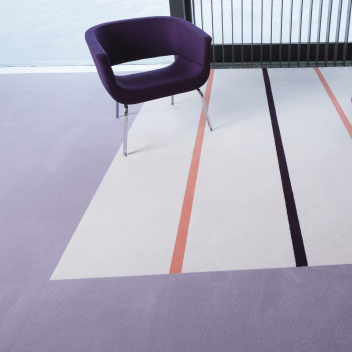 For those looking for the ultimate in luxury, our Westbond fusion bonded carpet tiles offer unrivalled quality and colour choice with no minimum order quantity. The Westbond tile range is synonymous with total flexibility and sophistication. Blending yarns to order and manufacturing premium quality fusion bonded tiles in an almost infinite number of colourways with no minimum order quantity, Westbond allows customers to take control of the process of designing luxurious, bespoke carpet tiles with exceptionally heavy pile weights for the most prestigious installations. 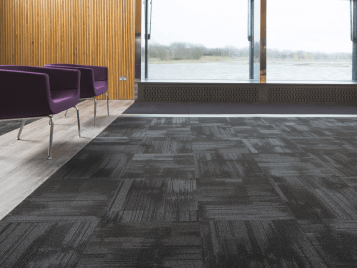 With over 70 million nylon fibres per m2, Flotex tiles give you the comfort of a textile finish but with the durability of a resilient floor covering. Flotex is a perfect option for very busy locations, such as counter areas, kiosks and call centers as it is able to withstand extreme wear and castor chair traffic. 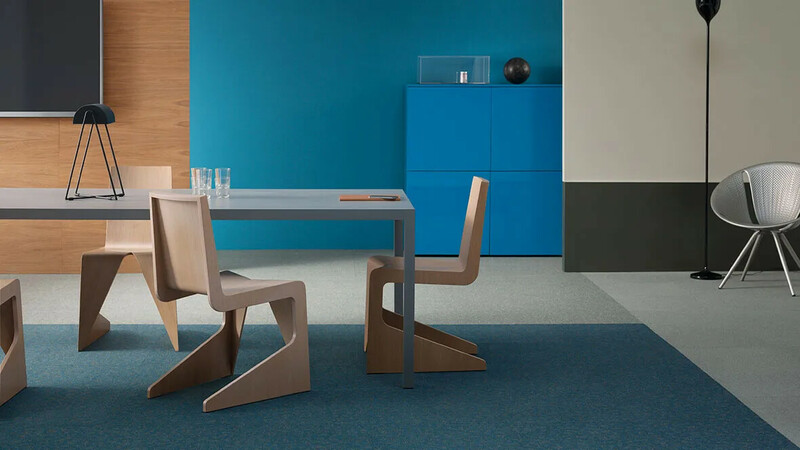 Our Tessera and Westbond carpet tiles are not only synonymous with quality, we are always looking for ways to improve our production processes and product constructions to make our tiles more sustainable. 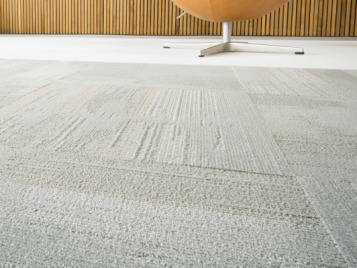 By challenging the way tufted carpet tiles are made, our UK-produced Tessera tiles now boast over 50% recycled content. We use innovative ultrasonic blades to cut our carpet tiles, which reduces tile waste by 80% compared to the standard technique. And our new extruder creates a closed loop process, ensuring that the little waste we generate is recycled back into the product. We are reducing the amount of virgin materials we use. For example, instead of throwing away yarn ends, we rewind them and tuft them into our Tessera range. We even have several ranges made with up to 100% ECONYL® regenerated yarn. For those looking for something closer to nature, our Westbond Natural range is made from the undyed wool of seven different UK sheep breeds and has up to 74% recycled content in its backing. Our carpet tiles are quick and easy to clean using a system called Dry Fusion, which uses heat, a little water and natural, organic cleaners. So you can use less water and fewer chemicals without compromising appearance. 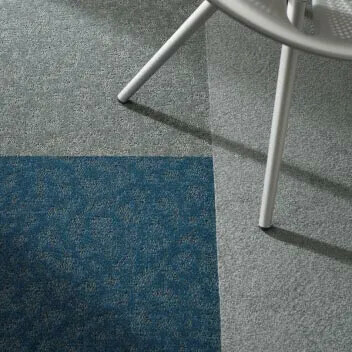 Following Green Design principles, our innovative random-lay carpet tiles reduce fitting waste to less than 2%. And any Tessera fitting waste can be collected for recycling at our plant near Preston, Lancashire, where it is processed back into new carpet tiles. As a founder member of Carpet recycling UK, we are also working to ensure that at the end of life our carpet tiles can be recycled or reused.